The traffic figures for this blog make clear that what people like is strong opinions from the author. But occasionally this author grows tired of the sound his own thinking and just wants to pass on wisdom from others. I have two items to offer. Last week’s James Cameron Memorial lecture at City University London was by N Ram, until recently editor of The Hindu, which has a claim to be India’s best daily paper. Ram delivered a magisterial overview of the Indian media which I can recommend as one of the best analysies of the subject you can find (video/audio, text). 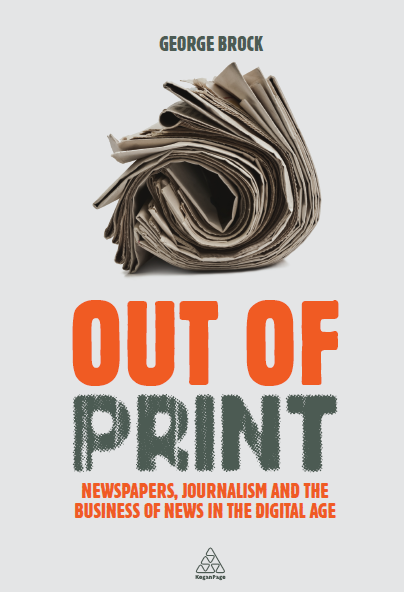 Ram stressed a discussion that far too many journalists complaining about failing business models forget: the fortunes of the news media are not the same as the state of the news media (p7). Ram gives an up-to-date list of India’s juiciest corruption scandals (p11), remarking that the Indian media has been much better at reporting scandals in government and politics and much less good at chasing corporate corruption. Reminding us that India was the first country in the world to ban Salman Rushdie’s “Satanic Verses”, he lists the recent threats to free speech (p17). He quotes often from a long piece on Indian media in the New Yorker by Ken Auletta: “Citizens Jain” (£). If you want to see one o the most important differences between India and China, look at internet penetration rates: China: 40%, India 10%. A quick update on some new stuff which has emerged about both paywalls for news and tablet devices such as the iPad. Most of these developments are promising. Not in the sense that the problems of a sustainable business model for news has been found, but in the sense that experiments – which are they key to it all – reveal a few successes and thus a few clues to what might work. The Times reaches 100,000 digital subscribers and I’m still baffled by their online strategy. I ought to be better-placed than many to figure out what they’re up to (declaration: I used to work there). But it’s not easy. This blog starts from the position that anything which promises a sustainable economic base for journalism is to be encouraged. Dogmatic assertions (“content wants to be free”, “content wants to be expensive”) which aim to shout down empirical experiments are to be discouraged. So any publisher adding to the sum of knowledge about what will or won’t work in charging is contributing. From that perspective, the Times announcement tells us a few things. All seem agreed that Rupert Murdoch’s News Corp is set to launch an iPad-only digital “newspaper” in alliance with Apple very soon. There’s been no denial of obviously well-sourced indications about the price (99 cents or 62p a week), the editorial formula (“a tabloid sensibility with a broadsheet intelligence”) or the likely editor (Jesse Angelo of the New York Post). No one should complain about Murdoch’s willingness to experiment. He may have come late to the web and he has made some mistakes. But he is laudably unsentimental about dumping an error once it’s clear that it is wrong. He cans the project and moves on to something else. So I look forward to seeing this tryout. Murdoch plus Steve Jobs is a market-moving alliance by any measure. Their attempt to break the mould will test in an interesting fashion what is becoming a pivotal issue about the new public space which the web is creating. The odd thing about the iPad-only project (apparently named the “Daily”) is that it sounds very much as if it goes directly against the grain of the web. It is perhaps the most ambitious attempt yet made to reproduce the conditions of print in a digital environment. The content won’t be on the web, only on the iPad. You can only get it by paying one way. Presumably, the content won’t link to much, or anything, else. Addressed three hundred German news publishers and editors this morning at the “Zeitung Online 2010” conference in Dusseldorf and spoke on themes that I’m almost getting bored of hearing myself say. (Presentation slides here). At the start of the huge changes driven by digital technology…Companies that expect uncertainty and surprise will fare better…experiment frequently, fail often…don’t assume that internet advertising will match or replicate print income…the iPad probably isn’t the white knight that you hope it is…your once captive audience has escaped. OK the bit about the iPad is a recent addition, but the rest isn’t new and not even completely original (even if true and important). I mentioned the importance of throwing a lot of spaghetti at the wall. It wasn’t that the audience was shocked or surprised by any of this. The reaction of the room was more sullen disappointment. Before I spoke they had been treated to a snazzy presentation from a designer, Lukas Kirchner, happily plunging into iPad design projects. Kirchner’s slides included a set of five American magazines on the iPad and the homepages looked remarkably like the magazine covers in print. This sight was greeted with an almost audible sigh of relief and happiness. “At last,” that sound seemed to say, “along comes a device which makes the future look like the past.” German publishers – and they’re hardly alone – can register with their heads talks which stress unpredictability of the changes driven by new media; but in their hearts they yearn for the familiar. I told them that the first version of the iPad doesn’t have the openess and connectedness of the iPhone (bookmarking, linking and blogging all made difficult) and that this might turn out to be a problem, however popular the device was to begin with. I wasn’t making much impact. Wonderful news! A subject big and important enough to drown the stream of posts and tweets on the theme of do-I-or-don’t-I love the iPad. I can’t claim to have worked out all the implications for journalists (let alone for the world) and that’s because I haven’t kept up with the rapidly growing literature. Shameful ignorance, but I’m working on it. Mainly by starting with this useful entry-level primer from the Guardian Datablog. More soon.